Holguer W. Borja is the President and CEO of Netgain Networks, Inc., a Southern California IT Solutions and Managed Service provider. Since the late 80’s PC boom, Holguer has been actively promoting the use of technology to run organizations efficiently, adopting changes in the way business is conducted through technology. 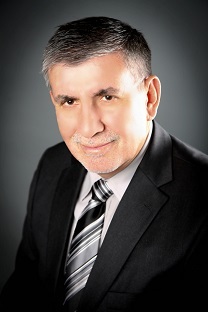 Having an Engineering degree in Electronics and Telecommunication from his home country of Ecuador, Holguer found his niche and created BHW Electronics in 1988. BHW Electronics focused on repairing and refurbishing computer systems for mid-size businesses and government entities. As the technology continued to become more accessible to small business, the challenges in the use of these new technologies also increased. As a result Netgain Networks emerged creating an innovative way of helping businesses solve business challenges through technology. Holguer holds a Bachelor’s of Science in Information Systems and a Master’s of Business Administration from the University of Redlands, and continues to lead Netgain Networks into the future by promoting lifelong learning, and empowering his team of professionals to build relationships that bring value and results to our clients and partners. Fernando Borja is the CFO of Netgain Networks, Inc. He is responsible for overseeing new customer acquisitions and onboarding, as well as leading a team of technical and administrative personnel. Prior to joining Netgain Networks, Fernando served as Staff Sergeant in the United States Air Force. Taught to accomplish all missions with integrity, service before self and excellence, this is transmitted and portrayed through all his interactions with clients and staff. In his nine years of service with Netgain, Fernando has served many roles. As a former project manager, he has accomplished the successful implementations of hundreds of complicated network installations and migrations, often involving the cooperation and coordination of dozens of vendors and personnel. 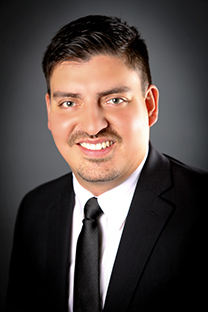 Sharp, adaptable, and creative, Fernando possesses senior-level expertise in technologies involving software, networking hardware, enterprise storage solutions, and telephony among others. He holds a Bachelor’s of Science in Accounting Information Systems along with numerous IT industry certifications. Fernando believes in forming and maintaining partnerships with our clients and providing them with the utmost excellent service. He continues mastering his communication channels in order to apply, educate, strengthen, and maintain Netgain Networks mission in providing a solution to our clients that comes from their business needs and becomes a reality through our expertise.